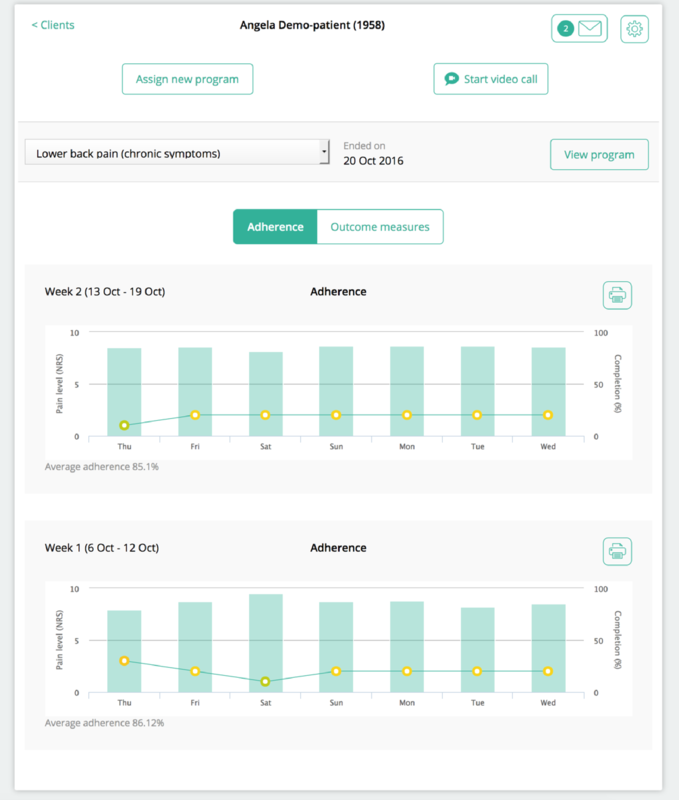 If you've assigned an exercise program to a client with adherence tracking enabled and/or outcome measures attached, you can monitor your client's progress in realtime. 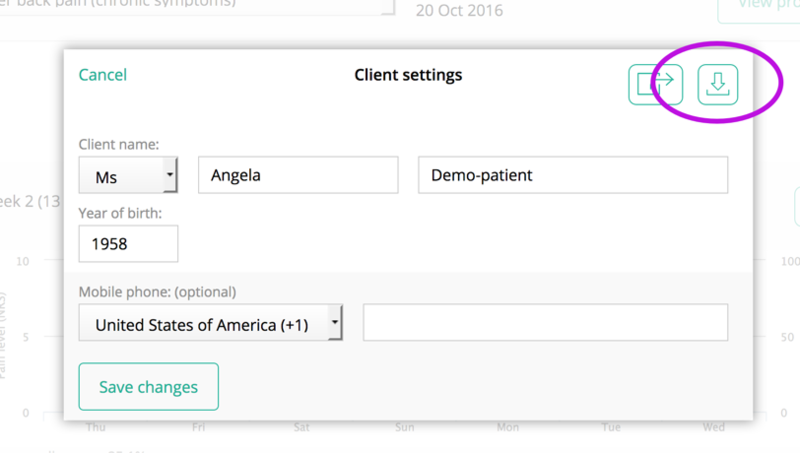 Click on the client whose progress you want to view. You will see the screen below. If your client has followed multiple programs, you can choose the program that you want to see the results for. To view the details for a specific day, move your mouse over that day. To view details for a specific week, click the Print icon to see a printable version with all the details. Then, simply choose the data that you want to download and click the Download button. All client data is neatly organised as separate spreadsheets inside a zip file. 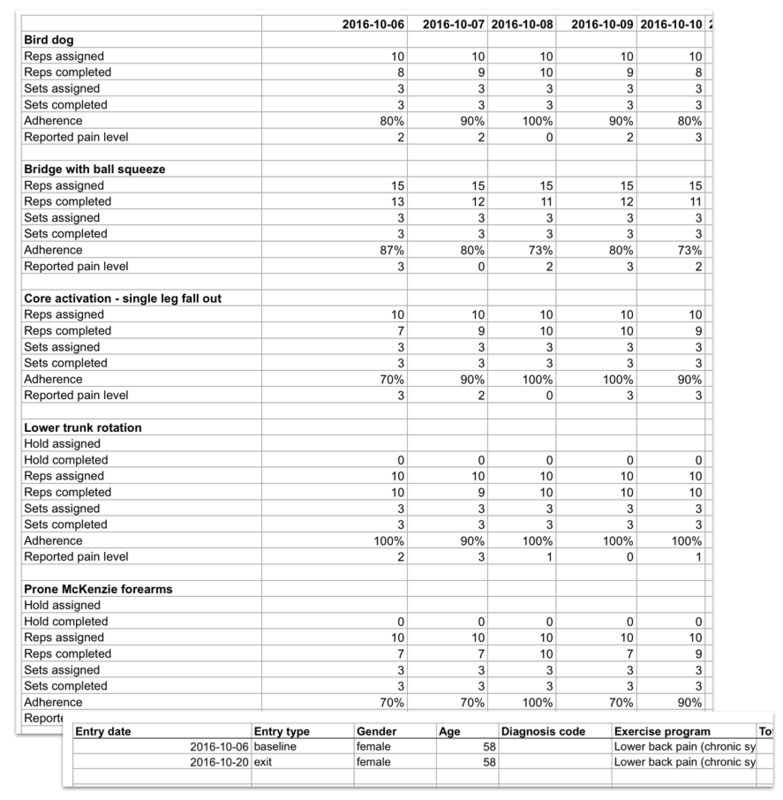 These spreadsheets can then be used for further analysis in different software, or for saving to the client record.